The following was posted by ARC member Kyra Hollis to the Wichita Kansas Kayak Network page on Face Book. 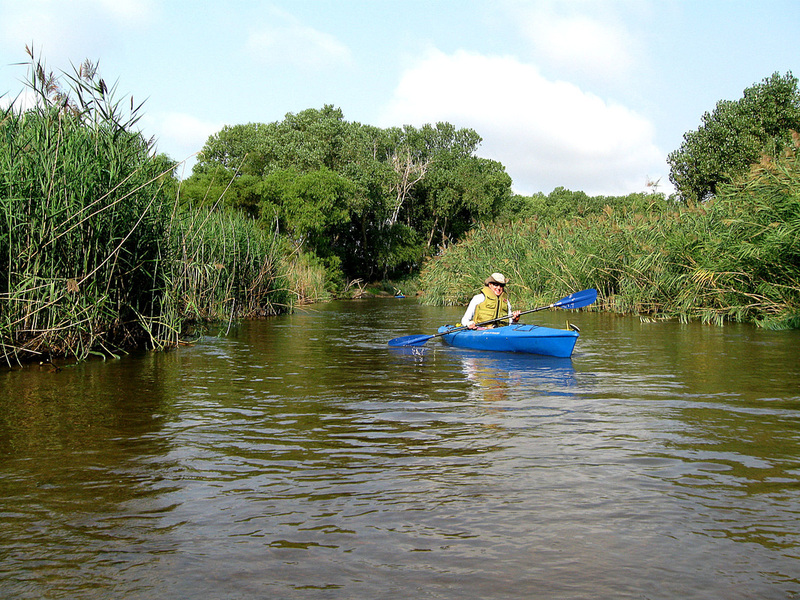 Even though it's primarily a coastal issue, it's important for all kayak owners. Important article for all who spend time on or in the water! Kansas Wildlife, Parks and Tourism had developed in the past. commended for his contribution in continually supporting river access. AN ORDINANCE AMENDING SECTIONS 9.29.030, 9.29.060, 9.29.080, 9,.29.090, 9.29.100, 9.29.110, 9.29.140, 9.29.150, 9.29.170 9.29.180, 9.29.200, 9.29.230, 9.29.250, 9.29.260, 9.29.280, 9.29.390 AND 9.29.400; CREATING SECTIONS 9.29.035, 9.29.175, 9.29.235, 9.29.255 AND 9.29.265; AND REPEALING SECTIONS 9.29.040, 9.29.050, 9.29.070, 9.29.100, 9.29.290, 9.29.300, 9.29.310, 9.29.320, 9.29.330, 9.29.340, 9.29.350, 9.29.360, 9.29.370 AND 9.29.380 OF THE CODE OF THE CITY OF WICHITA, KANSAS, PERTAINING TO REGULATIONS FOR USE OF THE BIG ARKANSAS RIVER AND BANK AREA. (a) "Water craft or “Watercraft" means any boat or vessel designed for water travel, including, but not limited to any row boat, canoe, kayak, standup paddle board, power boat or motor boat, paddle boat, sail craft or boat of any type, and includes personal watercraft and air boats. (b) "Power boat" or “Motor boat” means any water craft powered by a combustible engine or electric motor or machinery or any kind, whether or not such machinery is the principal source of propulsion. (c) "Personal watercraft" means those watercraft including, but not limited to, jet skis, water bikes, wave runners, wave jammers, and other similar one or two person watercraft being propelled or powered by machinery. (d) “Director” means the Director of the Department of Park and Recreation or the Director’s designated representative. (e) “Inflatable floatation device” means an inner tube or other water recreational form or apparatus that is inflated with air or foam and is non-navigable. This term includes inflatable or foam chaise loungers, air mattresses and other inflatable or foam devices. (f) “Operate” means to navigate or otherwise use a watercraft of any kind. (g) “Operator” means a person who is in actual physical control of any watercraft upon the river or while docking. “Power boats, motor boats and personal watercraft prohibited upon the Big Arkansas River without permission. (a) It shall be unlawful for any person to operate a power boat, motor boat or personal watercraft upon the Big Arkansas River at any point within the city limits of the City of Wichita, Kansas without prior written approval from the Director of Park and Recreation. “Prohibited during festivals. Unless a permit or the prior written approval of the Director is obtained, all unauthorized water craft and watercraft activities are prohibited in or upon any portion or portions of the Big Arkansas River and Bank Area on days during which the same or portion thereof is being used for community events, special functions, ceremonies or festivals sanctioned by the City or by the Department of Water Resources of the State of Kansas. “Abandoned watercraft – Removal. (a) It shall be unlawful for any person to abandon a watercraft in, upon or sunk in the Big Arkansas River and Bank Area without the prior written consent of the Director. Abandoned watercraft may be removed by a law enforcement officer when any of the conditions exist as set forth in K.S.A. 32-1156(c), and any amendment thereto. “Violation of Dangerous Water Conditions order – Unlawful, exceptions. (a) It is unlawful for any person to enter into or to operate any water craft in or upon the Big Arkansas River and Bank Area during any time an order that has been issued by the Director closing the river due to dangerous water conditions is in effect. (b) This provision shall not apply to authorized emergency personnel in the performance of their official duties. “Written consent – Procedure. Whenever the written approval, consent or permission of the Director of Park and Recreation is required either as a condition precedent to an action taken or to exempt a person from any of the provisions of this chapter, the same shall be obtained by submitting a request for such consent in writing to the Department of Park and Recreation. Such request shall be submitted at least 2 business days in advance for recreational use of the river and 30 days in advance for special events. A request for written consent of the Director under this chapter shall be subject to the provisions set forth in subsections (a) and (c) of Section 9.03.080 and Sections 9.03.090 through 9.03.190 of this Code, pertaining to the provisions governing the issuance of park permits, including the standards for issuance and the process for appealing the denial thereof. Additionally, any written consent or permission required to be obtain from or granted by the Director may be obtained from or granted by a designated representative of the Director, unless this chapter expressly provides otherwise. SECTION 22. The originals of Sections 9.29.030, 9.29.040, 9.29.050, 9.29.060, 9.29.070, 9.29.080, 9.29.090, 9.29.100, 9.29.110, 9.29.140, 9.29.150, 9.29.170, 9.29.180, 9.29.200, 9.29.230, 9.29.250, 9.29.260, 9.29.280, 9.29.290, 9.29.300, 9.29.310, 9.29.320, 9.29.330, 9.29.340, 9.29.350, 9.29.360, 9.29.370, 9.29.380, 9.29.390 and 9.29.400, of the Code of the City of Wichita, Kansas, are hereby repealed. SECTION 23. This ordinance shall be included in the Code of the City of Wichita, Kansas, and shall be effective upon its passage and publication once in the official city paper. U.S. Secretary of the Interior Sally Jewell and National Park Service Director Jonathan B. Jarvis On June 3 announced the designation of six local and state National Recreation Trails, adding more than 350 miles to the National Trails System, and three National Water Trails, adding more than 600 miles to the National Water Trails System. Kudos to Jessica Mounts of the Kansas Department of Wildlife, Parks and Tourism. We have her to thank for this. She put in untold hours and effort to bring this singular honor to the Arkansas River and to South Central Kansas. eastern states along the Atlantic Coast to areas in the Midwest. clumps below Wichita along the river.